Blogging is like a walk at the duck pond. So, this is my first blog post in a really long time, and I am a bit excited for it. I have seen a lot of things that I have wanted to write about and even video's online that I have wanted to share with many of my friends and now this gives me the chance to really come out and do that. When I was in High School, I wanted to become a journalist. I would express my writings in many ways, including music lyrics and even letters to express myself openly. I am a random sort of person, someone who is very eager to share what interests I have and sometimes just rabble on typing what I feel or think. I am hoping that I will be able to keep in track with this blog as the days go by. A few things I would also like to do in my spare time would be to get some input from fellow readers, and share photos and stories along the way. As the title above says, blogging is like a walk at the duck pond. 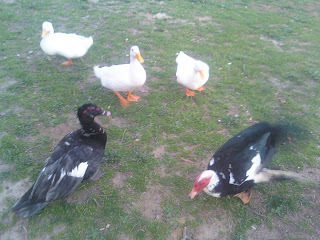 Where I live, we have a duck pond. My husband Drew and I love going to it on warm days to look across the pond, watching as the ducks play with one another, or many follow us around. They are so use to the people within the community, many expecting to be fed. I will admit that we are guilty of trying to spoil them by feeding them puppy kibble. The ducks absolutely love it too death, along with some bread or corn. The day Drew and I were here, which was last week, I found this beautiful tree. 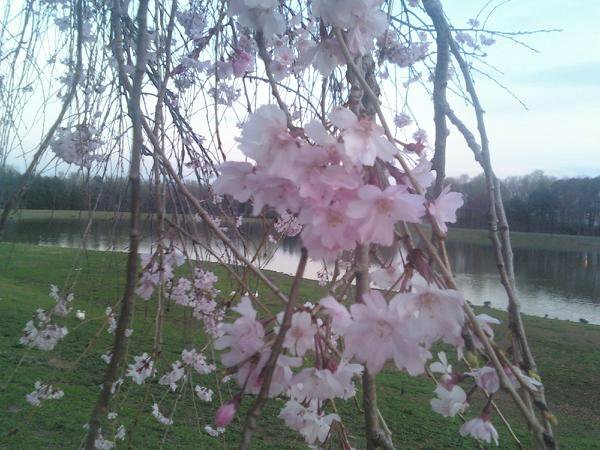 It reminded me of a Cherry Blossom tree, so I picked a little root off of it in hopes to be able to sometime later within the year, after drying it out, get the seeds and replanting them in our back yard to bring life to it. 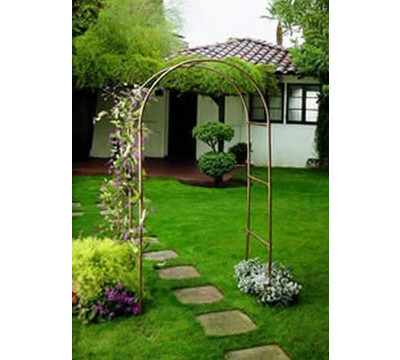 I would also like to be able to start planting a garden this spring and with the help of Drew and my dad, get materials together to build an archway with a walkway with flowers on each side, making a walking path.